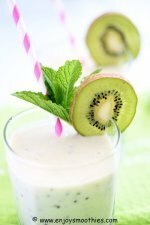 Most fruit smoothies are sweet enough and don’t require any extra sweetening. There are times though when a bit of extra flavor is called for, especially when making green smoothies. Most of our green smoothies have fruit added to make them more palatable. However, even though fruit is a natural sweetener, sometimes a smoothie needs a helping hand. These smoothie ingredients will sweeten your smoothies naturally, without adding artificial sweeteners or sugar. Add one or two teaspoons of raw honey, that is honey that has not been pasteurized or filtered. Pasteurization involves briefly heating the honey then rapidly cooling it down. It kills the yeast cells in the honey and prevents fermentation and crystallization. Honey that is heated and filtered remains liquid much longer and looks clearer and more appealing. But this process can also cause a loss of nutrients and important enzymes. Raw honey still retains all the pollen enzymes and other micronutrients that would normally be lost in the heating process. The downside is that raw honey will crystalize quickly due to the fact it is unfiltered. Although honey is made up of 80 percent sugars, of which roughly half is glucose and half is fructose, is still has many nutritional benefits. Honey’s main claim to fame is its high level of antioxidants. Honey is known to be rich in both enzymatic and non-enzymatic antioxidants including catalase, ascorbic acid flavonoids and alkaloids. Honey also contains small amounts of protein, enzymes, vitamins and minerals. These include, Vitamins B1, B2 B3, B5 and B6. The minerals found in honey include calcium, copper, iron, magnesium, manganese, phosphorus, potassium, sodium and zinc. Maple syrup comes from the maple tree and is extracted by drilling a hole in the tree. As the sugary fluid leaks out it is then collected. This fluid is boiled until most of the water evaporates. As this sap is basically 95 – 97% water, when boiled down, a thick, sweet syrup is left, composed of 65% sucrose. This then filtered to remove impurities. There are several different grades of maple syrup and they are recognized by their different colors. Grade A are the lighter ones, from Light Amber, Medium Amber and Dark Amber. Grade B has a stronger flavor and a darker color and is also more nutrient dense. The darker syrups, are made from sap that extracted later in the harvesting season. Maple syrup is rich in manganese, iron and zinc. It provides the body with over 50 types of antioxidants to help ward of disease. This syrup also contains organic acids, minerals such as potassium and calcium, and traces of amino acids and vitamins. When buying, make sure you purchase pure maple syrup that has been extracted using the above methods, and not “maple-flavored” syrup. I much prefer Medjool dates over ordinary dates. They are known as the “king of dates” due to their larger size, their sweet taste and their juicy flesh. The center of each date contains an elongated pit that is easily removed. Dates are highly nutritious and are high in vitamins C, B1, B2, B3, B5 and A, as well as folate, calcium, magnesium, phosphorus, potassium and natural sugars. They are also rich in soluble and insoluble fiber. Just remove the pit, chop into pieces and drop into the blender. If you have a high-speed blender there is no need to soak first. Otherwise soak the dates in a little warm water, then blend into a loose date paste before adding the rest of the ingredients. Is peanut butter healthy? Yes it is. Is all peanut butter equal? No it isn’t. Our recommendation is to make your own. If that is not possible, the next best option is to buy natural peanut butter. Natural nut butters must contain over 90% peanuts without any artificial ingredients or flavor enhancers. Also check the labels for sugar and sodium levels. Some commercial peanut butter brands can have up to 250mg per tablespoon more sugar than natural brands. Peanut butter is super nutritious. It is packed with protein and healthy mono and polyunsaturated fats. 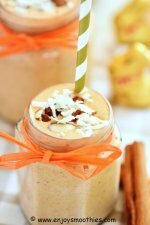 It is also packed with other essential vitamins and minerals, including phosphorus, potassium, zinc, folate and vitamin E.
Peanut butter is great mixed with bananas and cacao, for a chocolate banana smoothie. When buying coconut flakes choose unsweetened dried shredded coconut or coconut flakes over the sweetened variety. Unsweetened coconut has a lower water content making it a more concentrated source of nutrients. It is high in fiber as well as being a good source of manganese, copper, iron, magnesium, phosphorus, potassium, zinc and selenium. But do bear in mind that although shredded coconut has health benefits, it also has a high fat content, particularly saturated fat. A one ounce serving of unsweetened shredded coconut contains about 18 grams of fat, 16 grams of which is saturated fat. This makes it high in calories, so my advice is to eat in moderation. Simply sprinkle it over the top of your smoothies for added crunch, texture or simply for decoration. 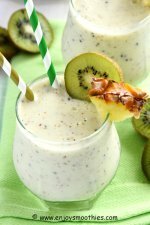 Extracts such as vanilla, almond and coconut are an excellent way to add flavor to a bland smoothie without adding loads of sugar. Because extracts are made by an extraction process they have an intensive flavor. Usually only one or two teaspoons is enough. You simply want to add a hint of vanilla not drown out the other flavors. So always start with ½ teaspoon then taste. You can always add more if needed, but you can’t take away.